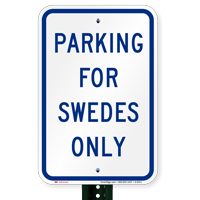 Gift this parking sign to any of your Swede friend as a novelty gift or install the sign in parking lot to reserve parking space. 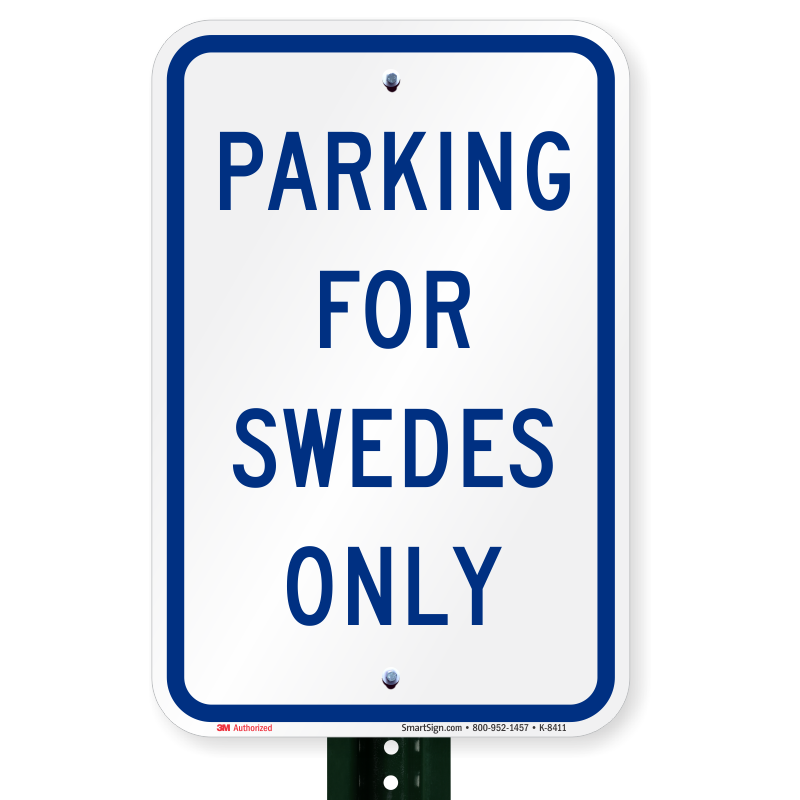 • Humorous signs are great novelty gifts. 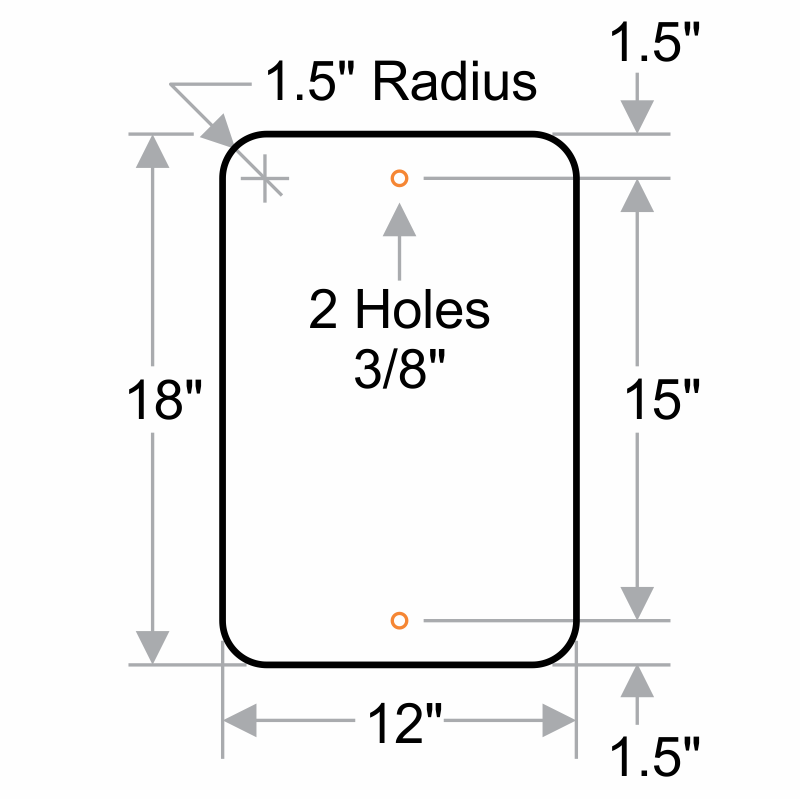 • Premium aluminum signs last for long time.